In two recent articles, The New York Times has incorrectly referred to the present day West Bank or Gaza Strip as "Palestine," contrary to Times style. References to modern "Palestine" in the West Bank and Gaza are inaccurate, and those areas should be referred to as the West Bank and Gaza Strip, or, where, appropriate (in the West Bank), "Palestinian Authority territories." First, a book review by Jouman Khatib errs, stating "When [author Isabella] Hammad, 27, first visited Palestine six years ago. . . "
In addition to appearing online, the article also appeared April 4 in the Books section, then again April 5 in the New York edition, and a third time April 11 in print in the International New York Times. A separate online article ("She was forced to marry in Bangladesh . . .") likewise errs: "As of mid-March, 73 women had stayed at Asiya -- all immigrants from Bangladesh, Egypt, Pakistan, Palestine, Syria, or Yemen . . . "
In August 2017 and in December 2016, The New York Times commendably corrected this identical error. Other media outlets which have corrected in the past include National Geographic, The Los Angeles Times (screen capture below), and Voice of America. The New York Times took a slight jab at Hamas, the terrorist organization that rules the Gaza Strip, in a recent story about Hamas's crackdown on Palestinian protesters who spoke out against its policies in Gaza. Gaza’s Health Ministry, which has assiduously reported on the nearly 200 Palestinians killed and thousands wounded by Israeli troops during often-violent protests along the fence dividing Gaza from Israel, has not reported the number injured by Hamas in quelling the protests. Indeed. What the Times doesn't tell you, though, is that it's guilty of the very same discrepancy. While the newspaper gave some press to last year's anti-Israel protests already during the planning stages, days before rioters first gathered on the Israel-Gaza border, its March 24 story was the first time the reporters seriously covered the Hamas crackdown, which had been going on for two weeks with hardly a passing mention. • March 10: Hamas arrests, and reportedly tortures, 13 Palestinian activists planning the demonstrations. • March 14: The protests and crackdown begin. The Associated Press covers the story, noting that "Videos circulated on social media showed police firing live rounds in the air, beating protesters and hauling them into police vehicles." • March 15: Haaretz reports on "Hamas police officers shooting, beating and arresting protesters, as well as detaining journalists and human rights activists," and CBS News is among the news outlets worldwide picking up AP coverage about how Hamas "violently broke up a rare protest by demonstrators angry about the dire living conditions in Gaza." • March 16: AP, China's Xinhua, and Palestinian reporters in the West Bank are among those reporting on the unrest. 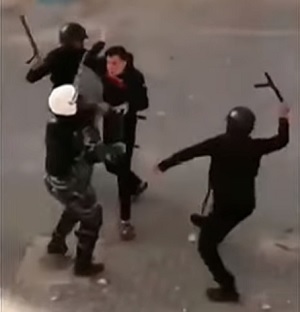 • March 17: Reuters and the Jerusalem Post are among those covering the crackdown and noting that the UN’s Special Coordinator for the Middle East Peace Process strongly condemned the "campaign of arrests and violence used by Hamas security forces against protesters, including women and children, in Gaza over the past three days" and the "brutal beating" of reporters and rights activists. • March 18: Amnesty International decries "beatings, arbitrary arrest and detentions, and torture and other forms of ill-treatment since 14 March." In the UK, the Telegraph reports serious injuries as "videos appeared to show officers clubbing unarmed protesters." • March 19: AP, CNN, NPR, Al Jazeera, the Independent, and Ma'an are among those covering the Hamas violence. Hamas itself acknowledges the story, apologizing " for any psychological or material harm inflicted on any Palestinian citizen." • March 21: On the Opinion pages, a New York Times columnist criticizes his own newspaper's failure to cover the crackdown, saying it, and the Western press in general, "for too long has been depressingly incurious about any form of Palestinian suffering for which Israel cannot be held responsible." • March 24: ... and finally, the news pages of the paper that promises "all the news fit to print" gets around to writing a story about the crackdown. Why so slow? See the March 21 entry above. 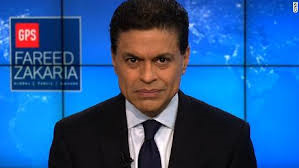 Fareed Zakaria hosted an eight-minute discussion of the Golan matter at the end of his weekly (weekend) program, “Global Public Square “ (GPS) hour-long Cable News Network (CNN) broadcast. The broadcast, on both CNN and CNN International, aired on March 30, Saturday, with repeats on Sunday. In his introductory comments in the Golan segment, Zakaria claimed that there is a question “about the legality of that gift [President Trump’s proclamation recognizing the Golan Heights as part of Israeli territory].” However, he failed to elaborate on what he meant by the “legality” question. Presumably he hoped that either of his quests would pick up on it but that didn’t happen. Zakaria discussed the matter with Peter Beinart, author and commentator, and Einat Wilf, author and former Israeli politician who served as a member of the Knesset (parliament) and had previously served as an Israeli military intelligence officer. 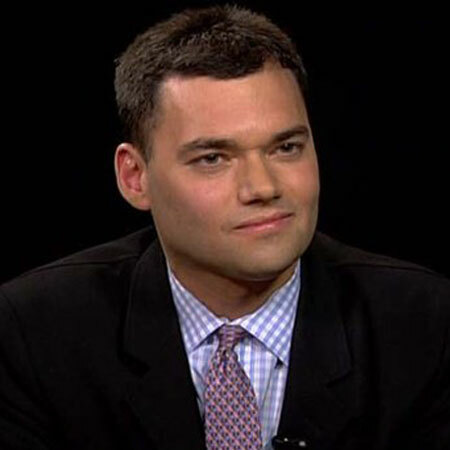 Beinart, persistent critic of the Jewish state, has routinely authored error-laden commentaries disparaging Israel’s policies toward the Palestinians. Beinart expressed disagreement with Wilf’s assessment on precedents and noted that the proclamation “was a blatant American interference in the Israeli election … if we want people to stay out of our elections, we should stay out of their elections.” Beinart here had the last word. This seems like generally good advice although overstated (at the least) or misplaced in this instance. This advice seems applicable to the 2015 Israeli election. The interference, at that time intended to hurt the chances of the prime minister, has been documented by, among others, the Washington Post. Unsurprisingly, there’s no indication that Beinart has ever complained about U.S. interference in that Israeli election. Wilf was not able to provide adequate balance mainly since Beinart was allowed to dominate, including having the last word. Viewers could have been informed of the historical/biblical aspect of the Golan. The ancestors of today’s Jewish Israelis resided in the Golan long before any Arabs or any Muslims arrived in the area. Evidence of this is found in the Bible; references to the Golan are contained in Deuteronomy 4:43, Joshua 20:8, Joshua 21:27 and 1 Chronicles 6:56. The region known today as the “Golan Heights” was a part of the area of Bashan in the territory assigned to the Israeli tribe of Manasseh thousands of years ago. Furthermore, there is no reason to believe that these ancestors ever willingly relinquished their rights to the land. Zakaria might be referring to the claims that Israeli sovereignty over the Golan Heights violates international laws and resolutions condemning the acquisition of territory by war. But these condemnations apply only to offensive wars. Israel had seized the Golan in the defensive Six-Day War of 1967. The Syrian military had repeatedly used it to shell the Galilee area of Israel from the Golan high point putting Israeli population centers in jeopardy. Currently, if Israel were to lose control of the Golan, the Galilee would be undefended against the predations of Iran which is intent on destroying the Jewish nation-state. As legal scholar Alan Dershowitz observed recently, “No country in history has ever given back to a sworn enemy, militarily essential territory that has been captured in a defensive war” (Alan M. Dershowitz, “Trump Is Right about the Golan Heights,” Gatestone Institute, March 30, 2019). Fareed Zakaria is not the best person, given his problems regarding Israel, to host such a discussion although he was relatively muted here. Zakaria has demonstrated a compulsion to view Israel darkly, regardless of facts. In 2015 he implicitly equated the Irgun group to ISIS, the Islamist terrorist organization. Irgun was a Jewish underground military organization in 1945-1948 that fought to establish a Jewish state while usually managing to avoid non-combatant casualties. 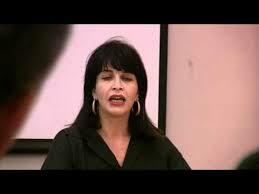 Previously he had cast the Lebanese terror group, Hezbollah, as a model of religious tolerance. Additionally, in 2014 his journalism ethics were called into question when he was caught plagiarizing. On CNN, given its dismal record regarding coverage of the Israeli-Arab conflict, as well as the predilections of Zakaria and Beinart, the Jewish state could have come off worse here. But the broadcast still managed to mislead viewers. In the New York Times and Israel's Yediot Ahronot, reporter Ronen Bergman relays charges that a network of fake accounts has been activated to support Benjamin Netanyahu's drive for reelection. An Israeli watchdog group has found a network of hundreds of social media accounts, many of them fake, used to smear opponents of Prime Minister Benjamin Netanyahu in next week's election and to amplify the messages of his Likud party, according to a report to be released Monday. The people behind other Twitter accounts named in the Yediot report outed themselves on Monday, saying that they are not bots or paid operatives. “What is this nonsense? I’m not allowed to support the Right?” Moshe Mahlev of Rishon Lezion told 103FM. Mahlev, who used a photo of a Greek male model for his Twitter account, was used as an example of a pro-Netanyahu bot in the article. He said he had not been called by anyone from Yediot or the Times for a reaction. The Washington Post likewise mentions the emergence and protest of real Twitter users in the wake of Bergman's reports. Few writers need to be reminded that we seek and publish a response from anyone criticized in our pages. But when the criticism is serious, we have a special obligation to describe the scope of the accusation and let the subject respond in detail. No subject should be taken by surprise when the paper appears, or feel that there was no chance to respond. There is no indication that the Times sought out comment from the person behind the account with the mane Moshe. The need to seek out comment by those "criticized in our pages" isn't only for the sake of the accused, but also for the sake of readers and the pursuit of truth. It's certainly possible that Moshe isn't identifiable in the real world, and that his analog reputation is safe. It's also possible that his analog reputation is at risk — Bergman doesn't know whether a real-world Moshe told friends and colleagues about his online activities. Regardless, the claims by people who say they were named in the report but are real people posting their real views on their own behalf are clearly relevant to the story. And they counter-claims would have been part of the Times story—scrutinized and either accepted or disproved—if editors took seriously the promises in their codes of ethics.